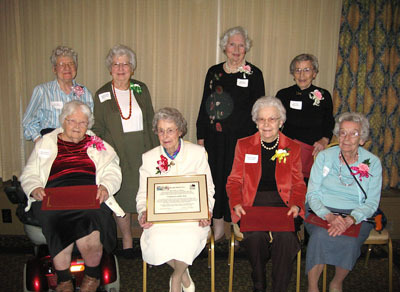 Over 150 members and friends attended this fun annual gathering on April 1, 2009 at the Oberlin Inn. Harvey Gittler presented the enjoyable program "Don't Touch That Dial: The Early Days of Radio" at the dinner. Two new trustees joined the board: Nicholas Jones and Edward Wardwell. 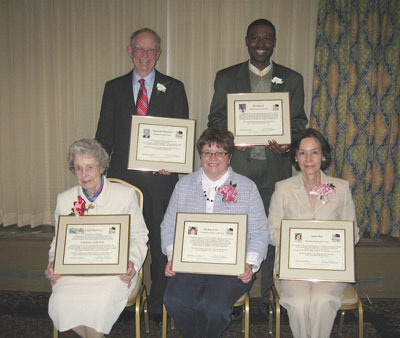 The following were recipients of the 8th Annual Oberlin Heritage Center Community Awards: Heritage Guardian: Roland Baumann; Keep Oberlin Beautiful: Sigrid Boe; Community Teacher of the Year: Barbara Enos; History Teacher of the Year: Kurt Russell; Volunteers of the Year: Kendal Mailing Crew (Doris Sable, Barbara Bennett, Mae Alice Donner, Joyce Dugan, Joan Ernst, Helen Fitzhugh, Dorothy Holbrook, Esther Hunt, Jane Ross Moore, Ann Potter, Catherine Rauch, Eunice Schaeffer, Polly Warch, and more).